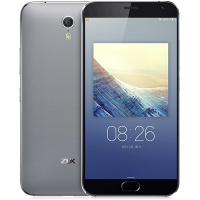 I bought my Zuk Z1 from China, Ali Express, it came with Android Lolipop and ZUI 0.9.096. Initially, I wanted to use ADB and Fastboot to unlock the bootloader and flash a new upgraded ZUI. Unfortunately, the phone, somehow, wouldn't unlock. I was able to see it with adb when it was powered on, however, when it was in fastboot mode, adb and fastboot were unable to detect it, despite trying different drivers.